Guangzhou is a city with convenient transportation to getting around. From the Baiyun International Airport to downtown (40km), visitors can take taxis, airport express buses, hotel shuttle buses, or HRC Pick-up Service. Free Airport Pick-up Service is provided ONLY for VIP guest who have made successful hotel reservation (minimum 3 nights) via HRC and made appointment at least 7 days before check-in. 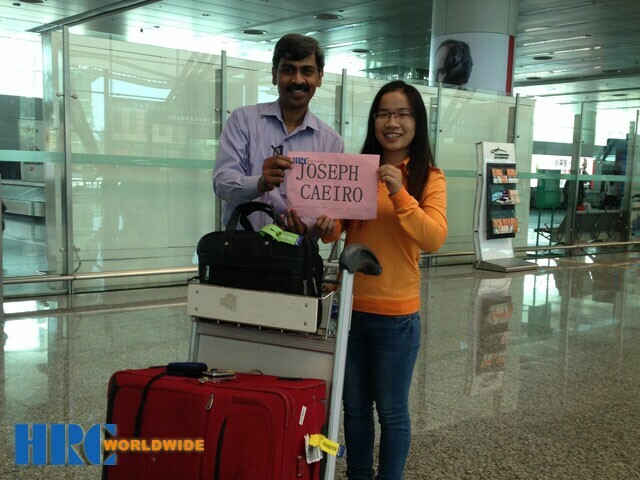 Pick-up Service is ONLY available from 9:00am to 21:00pm during Apr./Oct.14-17 and Apr./Oct.22-24. Pick-up Service is provided NOT by private cars but vans. You may have to wait for other guests who arrive around the same time. NO free pick-up service provided if flights delay for more than 1 hour. Guests without appointment in advance will be charged USD 30/person (RMB 180/person) for service fee. 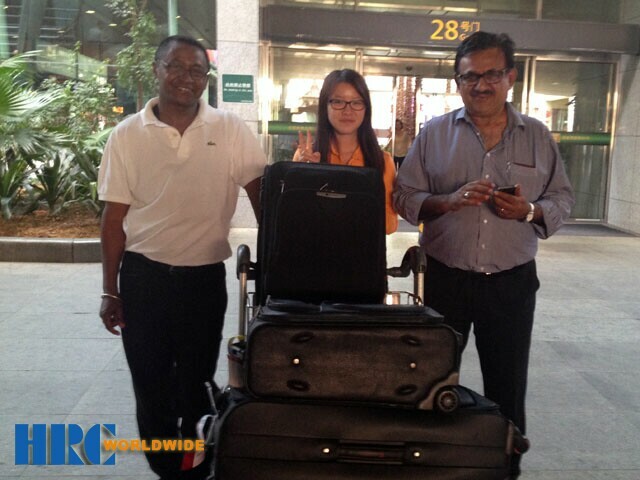 Remarks Our HRC airport representatives will be in orange T-shirt, holding name board. 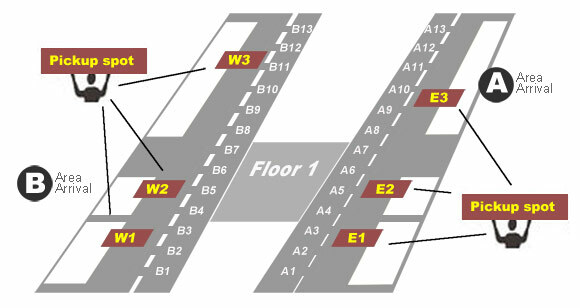 The following chart is a general layout of the Airport. 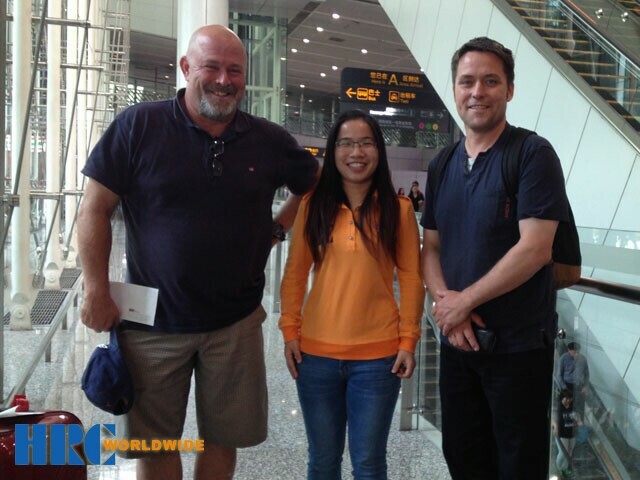 Our airport representatives (in orange T-shirt) will be expecting you at the pick-up spots E1, E2, E3, W1, W2, W3. When you meet with HRC airport representatives, please show them your confirmation voucher.